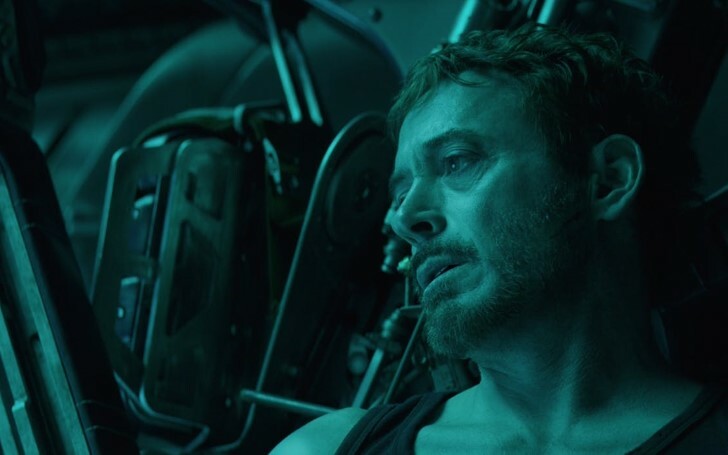 Right now, Avengers: Endgame is the foremost topic in showbiz, given that Hollywood has finally simmered down with the award seasons after last night’s Oscars. MCU’s Captain Marvel’s release date is just a stone throw away from now. But instead, the production house has released official tie-in merchandise for it’s another film, Avengers: Endgame which is set to release on April 26. And the officially associated goodies for Endgame may have just revealed Iron Man's new weapon set to be seen in the fourth Avengers movie. Endgame is a subject of intense secrecy right now, so much so that even all the trailers have only the option of drawing the scenes from the first 15-20 minutes of the film in order to keep the main plot secret—or so claimed by the studio boss, Kevin Feige. Given the secrecy that Marvel studios have been confining so intensely for the Endgame, fans have no other way but to extract as much as from loose end given by the film’s tie-in merchandises and subsequent promotional artworks. So far, it looks as though the team-Avengers will be armoring never-before-seen Advanced Gadgeted team uniforms--similar to that of the Quantum Realm environmental gears seen in Ant-Man & the Wasp. It's also highly assumed that Earth's surviving heroes will enter the Quantum Realm, and use it to enable them to travel in time with an ultimate motive to rewrite history so as to either avert or undo the infamous decimation caused by the notorious titan and film’s grand antagonist, Thanos. Marvel is well aware of the fact the official merchandises may possibly reveal Avengers: Endgame's few or two secrets, and as a result not a single Endgame by-products was revealed at this year's New York Toy Fair (Feb 16-19). But new pictures have just surfaced (via Marvel Braa Instagram) that show an Iron Man Titan model wielding a powerful weapon on his left arm. In addition, the products also exhibit a Hasbro Marvel Legends two-pack featuring Black Widow and Hawkeye. Even the rumors have it— Tony Stark would get a new weapon in Avengers: Endgame, and possibly even the Proton Cannon he used in Capcom's 1995 arcade game, Marvel Super Heroes. In fact, even in the Avengers: Infinity War compound, we can see something visibly resembling the Proton Cannon. The weapon was also seen in a set photo that the Russo brothers teased through their official handle last year on October 18. At first, fans thought it would be used by Colonel Rhodes’ War Machine, but another set photo suggested it would instead be helmed by Tony Stark, himself. It's also worth noting that the Titan figure shows Stark carrying the Proton Cannon on his left arm, which he has favored in recent movies after sustaining injuries to it (seen from the beginning of the 2016 film, Captain America: Civil War). However, the so-called tie-in playthings also feature Black Widow and Hawkeye, yet with alternate heads which have suggested the figures can be transformed into Iron Man, Ant-Man, or Nebula as well. This has seemingly confirmed the saved heroes will at least upgrade their arms, ammunition, and suits in the next Avengers movie—not to mention, they are already outnumbered against the mightiest baddie of the Marvel-verse with stakes being considerably higher than in the previous movie. Also if one is to assume the Quantum Realm theory, and all that previously shown the art of Captain America and Hulk getting a change in their attire, then its pretty much foreseeable that even Thor and Rocket could be dragged into the Quantum dimension and get the new outfits for themselves as well.